Home Personal Finance Build Vs. Buy: Which Self-Storage Investment is Right For You? Build Vs. Buy: Which Self-Storage Investment is Right For You? 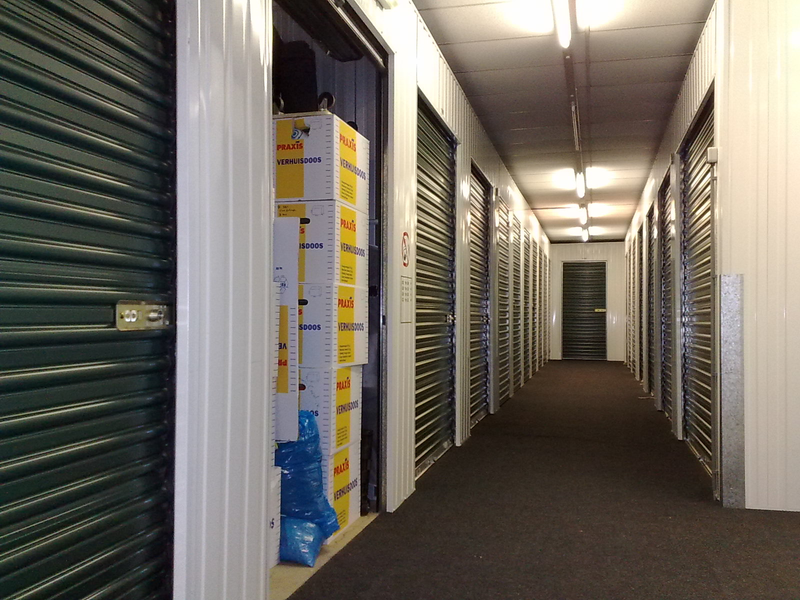 There are a lot of things attractive about self-storage facilities. Financially, they’re one of the cheapest facilities to build with a high return on investment. For example, most self-storage facilities cost between $200,000-$500,000. These properties do well in a market that’s up and down. They’re loan friendly, because self-storage has a low rate of business failure. Another very attractive feature of self-storage facilities is that there are a lot of options for loans. Qualifying for a commercial real estate loan in this niche isn’t as difficult as obtaining a loan in another niche. Let’s look into the pros and cons of buying a self-storage facility, and building a new one. One of the most alluring factors of the self-storage industry is that you have a variety of ways you can become involved. There are two general ways that come to mind: buying an existing facility, or building a new facility. Each way has its perks and downsides, which is why it’s important to consider both. Buying an existing self-storage facility predominantly gives the advantage of immediate cash flow. You won’t have to build your business from the ground up. There are a lot of “givens”, such as the current prices, expenses, and more. Being able to accurately predict and prepare for expenses is one of the key components of buying an existing self-storage facility. With that being said, it’s imperative to do a thorough pre-purchase inspection, much like you would with any other piece of real estate. Like most properties and all real estate, self-storage facilities need to keep up their curb appeal. It’s curb appeal that attracts buyers or clients in the first place, because it’s the first impression of the facility. Often, renovation loans are an appropriate way to update the facility’s curb appeal. Your facility needs to look like the things people store there will be taken care of, too. Especially because it’s likely people will store things of sentimental value there. Keep your clients walking through the door with a renovation loan that will help you boost the curb appeal of your facility. Updating and maintaining your facility’s curb appeal will not only allow your prices to be higher, but it’s basically advertising for your business. Potential patrons and clients would likely give their business to a facility that’s kept in tact, attractive, and well taken care of. If you’re purchasing an existing facility, you need to keep in mind that you aren’t buying only the land. You’re also purchasing the tenants that come with the facility. That means there are a variety of customer issues you may be inheriting, contracts you’ll need to sort through, and gaps in your business you’ll need to explore. While buying a facility in distress may seem like a great financial move, it’s important to realize you’ll be buying any internal issues the business may have had. Buying or building a new facility has a certain allure to it, too. Everything is new, from the facility to the units. There aren’t any inherent maintenance issues to deal with while the facility likely features fresh security equipment and brand new internal procedures. The benefit, here, is that you can establish whatever precedents you’d like, and create operating procedures that suit you and your business. However, you are starting from scratch, which means there is no immediacy of cash flow. It may take some time to break even, which is nerve wracking for any investor and business owner. There are project-cost risks that come alongside new facilities, such as building codes and unforeseen environmental hazards. There are a few things to know if you are building a new self-storage facility. You must consider the location’s surrounding population, the daily traffic count which will help advertise your business, and the local median household income. Knowing what the local cost of self-storage is, too, will help you consider your competition and prospective location. This map, created by Life Storage, shows the average cost of both climate controlled and regular self-storage units around the country. There’s no right or wrong answer, but by evaluating your opportunities and options, you’ll be able to find the right choice for you and your investment. © 2012 to 9990 Critical Financial. All rights reserved.